Dorothy Merritts (B.Sc. Indiana University of Pennsylvania, M.Sc. Stanford University, Ph.D. University of Arizona) is a geologist with expertise in streams, rivers, and other landforms, and on the impact of geologic processes, climate change, and human activities on the form and history of Earth's surface. Her primary research in the eastern United States is in the Appalachian mid-Atlantic region, where she is investigating the role of human activities in transforming the upland woodlands and valley bottom wetland meadows of Eastern North America to a predominantly agricultural and mixed-industrial/urban landscape since European settlement. Associated with this work is developing new methods of wetland, floodplain, and stream restoration that rely upon geomorphic investigation. She also is using lidar to map the geomorphic evidence for continuous permafrost from the last glacial maximum throughout Pennsylvania and Maryland. 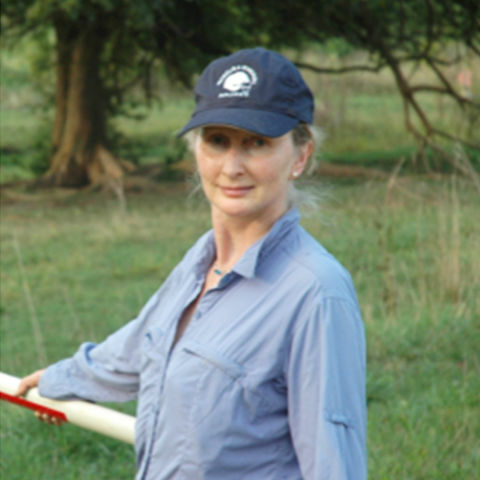 In the western United States, she conducted research along the northern San Andreas Fault of coastal California for two decades; her international work focused on fault movements in South Korea, Indonesia, Australia, and Costa Rica. She is a professor in the Department of Earth and Environment at Franklin & Marshall College in Lancaster, Pennsylvania. In 2004-2005 she was the Flora Stone Mather Visiting Distinguished Professor at Case Western Reserve University in Cleveland, Ohio. In 2011-2012 she was the Cox Visiting Professor at Stanford University. She is the author of an introductory textbook in environmental geology, numerous scientific papers and edited book chapters, and contributing author to several National Research Council reports. Her full cirriculum vitae can be viewed HERE. 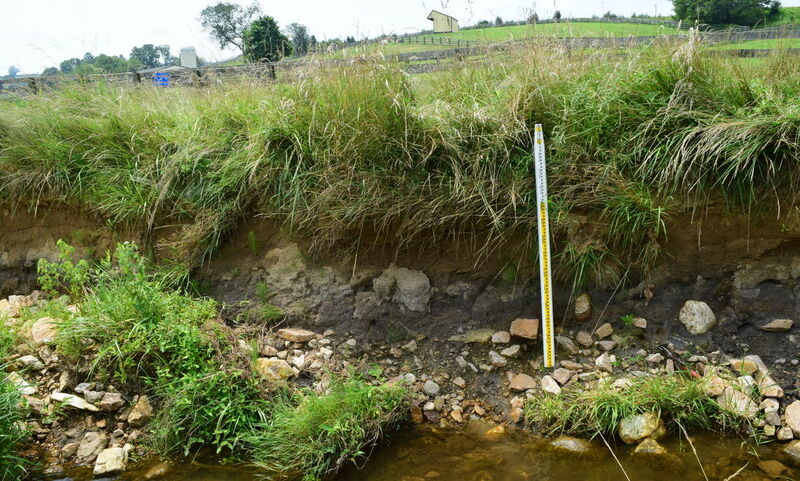 Click HERE for research website for Anthropocene streams project. Primary research interests in geomorphology using landform analysis with high-resolution topography (e.g., lidar), radiocarbon dating of deposits, and analysis of seed data. Research in fluvial geomorphology focuses on aggradation, incision, and river terrace formation in response to land-use, climate, and base-level (e.g., sea-level) change; changes in channel geometry, pattern, or gradient in response to dam breaching, uplift, deforestation, and other forcing factors; and runoff/flooding in urbanized areas. Research in tectonics and topography focuses on active faulting, deformation, and base-level change, and particularly in the expression of these forcings in several landform types: marine terraces (coral and wave-cut), longitudinal stream profiles, fluvial terraces, fault scarps, and alluvial fans. 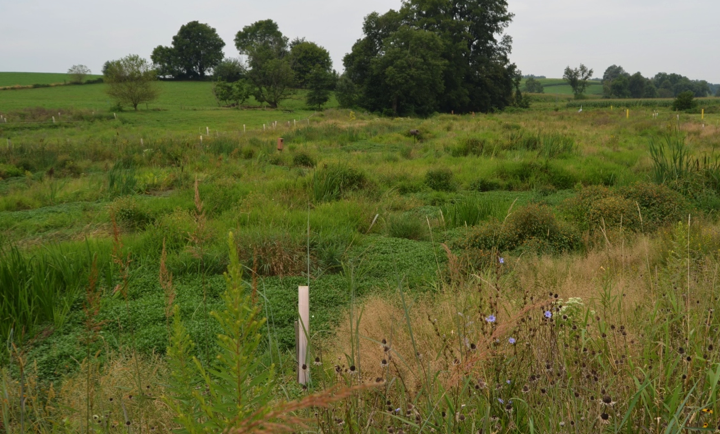 Recent research focuses on effects of dam building and removal/breaching on eastern US valley bottom landscapes and geomorphic processes, and restoration strategies for valley bottoms impacted by historic sedimentation. Click HERE for research website for Big Spring Run restoration experiment. 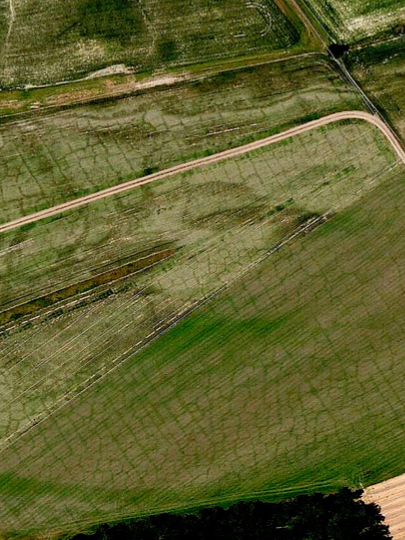 Click HERE for research website for periglacial geomorphology. NSF-Sponsored Workshop Participant: Research Infrastructure for Surface Earth Processes, October, 2014. NSF-Funded SEES Workshop Co-Leader: Research in Landscape Sustainability: Earth-surface processes in the SEES (Science, Engineering, and Education for Sustainability) context; co-leader with C. Paola (U Minnesota), 2011 (report at http://www.nced.umn.edu/sees-report). Cox Visiting Professor, Stanford University, School of Earth and Environmental Sciences, 2011-2012. Association of Women Geoscientists’ Outstanding Educator award, 2006. Snyder, Noah, Merritts, Dorothy, and Walter, Robert, 2015-2017, Anthropocene sedimentation in valley bottoms a geologically significant event?, National Science Foundation EAR Geomorphology and Land Use Dynamics, Award Number 1451586. Walter, Robert, and Merritts, Dorothy, 2012-2014, Collaborative Proposal with A. Gellis and M. Langland of USGS, and L. Larsen of UC Berkeley, Landscape evolution and sediment-nutrient fluxes in a wetland-stream restoration experiment, National Science Foundation EAR Geomorphology and Land Use Dynamics, Award Number 1226972. Walter, Robert, and Merritts, Dorothy, 2010-2015, Floodplain restoration and Sediment/Nutrient Load Reductions, US EPA & PA Department of Environmental Protection. Merritts, Dorothy, Walter, Robert, Mertzman, Stan, William, Chris, and Yoder, Claude (co-PIs), 2009-2011, National Science Foundation-Major Research Instrumentation Grant for the upgrade of existing XRF facilities and to purchase new analytical instruments, including XRD spectrometer, two gamma ray spectrometers, a laser particle analyzer, an x-ray particle analyzer, and RTK GPS instrument. Walter, Robert, and Merritts, Dorothy (with M. Langland, D. Galeone, and A. Gellis, USGS), 2008-2010, Floodplain restoration and Sediment/Nutrient Load Reductions, PA Department of Environmental Protection. Merritts, Dorothy, and Walter, Robert, 2006-2008, Statewide (PA) stream bank erosion and nutrient loads from legacy sediments: PA Department of Environmental Protection (PA). Grettenberger, C., Elliott, S. J., Donovan, M. P., Wilf, P., Walter, R. C., Merritts, D. J., in press, Riparian and valley-margin hardwood species of pre-colonial Piedmont forests: A preliminary study of subfossil leaves from White Clay Creek, southeastern Pennsylvania, USA: Palaeontologia Electronica. Larsen, L., Hajek, E., Maher, K., Paola, C., Merritts, D., Bralower, T., Montanez, I., Wing, Sc., Snyder, N., Hochella, M., Kump, L. R., and Person, M., in press, Taking The Pulse of the Earth's Surface Systems: EOS Opinion. Merritts, Dorothy, Rahnis, Michael, Walter, Robert, Hartranft, Jeff, Cox, Scott, Scheid, Chris*, Potter, Noel*, Jenschke, Matthew*, Reed, Austin*, Matuszewski, Derek*, Kratz, Laura*, Manion, Lauren*, Shilling, Andrea*, Datin, Katherine*, 2011 (in press), The rise and fall of Mid-Atlantic streams: Millpond sedimentation, milldam breaching, channel incision, and stream bank erosion: Reviews in Engineering Geology, special issue on “The Challenges of Dam Removal and River Restorations”, editors Jerome V. DeGraff and James E. Evans. Merritts, Dorothy, 2007, Fluvial environments: Terrace sequences: in Elias, Scott (ed. ), Encyclopedia of Quaternary Science, p. 694-704. Thomas W. Gardner, John Webb, Aaron G. Davis, Elizabeth J. Cassell, Claudia Pezzia, Dorothy J. Merritts, and Barton Smith, 2006, Late Pleistocene landscape response to climate change: Eolian and alluvial fan deposition, Cape Liptrap, southeastern Victoria, Australia: Quaternary Research, v. 25, p. 1552-1569. Griggs, Gary, Savoy, Lauret,, Runyan, Kiki, and Merritts, Dorothy, 2005, The Northern California Coast: Oregon Border to Point Delgada, Chapter 9 in The Changing Coast of California, edited by Gary Griggs and Kiki Runyan: University of California Press. Merritts, Dorothy, Savoy, Lauret, Griggs, Gary, Walter, Robert, 2005, The Northern Coast of California: Point Delgada to Point Arena, Chapter 10 in The Changing Coast of California, edited by Gary Griggs and Kiki Runyan: University of California Press. Savoy, Lauret, Merritts, Dorothy, Grove, Karen, and Walter, Robert, 2005, The Northern Coast of California: Point Arena to San Francisco, Chapter 11 in The Changing Coast of California, edited by Gary Griggs and Kiki Runyan: University of California Press. Snyder, Noah P., Whipple, Kelin X., Tucker, Greg E., and Merritts, Dorothy J., 2003, Channel response to tectonic forcing: Field analysis of stream morphology and hydrology in the Mendocino triple junction region, northern California: Geomorphology, v. 53, p. 97-127. Snyder, Noah P., Whipple, Kelin X., Tucker, Greg E., and Merritts, Dorothy J., 2003, Importance of a stochastic distribution of floods and erosion thresholds in the bedrock river incision problem: Journal of Geophysical Research, v. 108, B2, p. 2117-2132. Snyder, Noah P., Whipple, Kelin X., Tucker, Greg E., and Merritts, Dorothy J., 2002, Interactions between onshore bedrock-channel incision and nearshore wave-base erosion forced by eustasty and tectonics: Basin Research, v. 14, p. 105-127. Gardner, Thomas, Marshall, Jeffrey, Merritts, Dorothy, Bee, Bhavani, Burgette, Reed, Burton, Emily, Cooke, Jennifer, Kehrwald, Natalie, Protti, Marino, Fisher, Donald, and Sak, Peter, 2001, Holocene forearc block rotation in response to seamount subduction, southeastern Peninsula de Nicoya, Costa Rica: Geology (Boulder), v. 29, no. 2, p. 151-154. Merritts, Dorothy J., Bodin, Paul, Beutner, Edward, Prentice, Carol S., and Muller, Jordan, 2000, Active surface deformation in the Mendocino triple junction process zone: in Bokelman, Gotz, and Kovach, Robert L. (editors), Proceedings of the 3rd Conference on Tectonic Problems of the San Andreas Fault System, Stanford University Publications/Geological Sciences Volume XXI, September, 2000, pages 128-143. See http://pangea.stanford.edu/GP/sanandreas2000/index.html. Merritts, Dorothy, 2000, The effects of variable river flow on human communities: In Wohl, Ellen E. (Editor), Inland Flood Hazards: Human, Riparian, and Aquatic Communities, Cambridge University Press, p. 271-290. Prentice, C.S. Langridge, R., and Merritts, D J., 2000, Paleoseismic and Quaternary tectonic studies of the San Andreas fault from Shelter Cove to Fort Ross, in: Bokelmann, G. and Kovach, R.L., eds. : Proceedings of the Third Conference on Tectonic Problems of the San Andreas System, Stanford University Publications, p.349-350. Snyder, Noah P., Whipple, Kelin X., Tucker, Greg E., and Merritts, Dorothy J., 2000, Landscape response to tectonic forcing: Digital elevation model analysis of stream profiles in the Mendocino triple junction region, northern California: Geological Society of America Bulletin, v. 112, no. 8, pl. 1250-1263. Prentice, Carol S., Merritts, Dorothy J., Beutner, Edward, Bodin, Paul, Schill, Allison, and Muller, Jordan, 1999, The northern San Andreas fault near Shelter Cove, California. Geological Society of America Bulletin, v. 111, n. 4, p. 512-523. Pazzaglia, Frank J., Gardner, Thomas W., and Merritts, Dorothy J., 1998, Bedrock fluvial incision and longitudinal profile development over geologic time scales determined by fluvial terraces: in Rivers Over Rock: Fluvial Processes in Bedrock Channels, edited by Ellen Wohl, American Geophysical Union Geophysical Mongraph Series, no. 107, p. 207-235. Merritts, Dorothy, Eby, Rebecca, Harris, Ron, Edwards, R. Lawrence, and Cheng, Hai, 1998, Variable rates of late Quaternary surface uplift along the Banda Arc-Australian Plate collision zone: In Stewart, I. S., and Vita-Finzi, C. (editors), Coastal Tectonics. Geological Society, London, Special Publications, vol. 146, p. 213-224. Merritts, Dorothy, 1996, The Mendocino triple junction: Active faults, paleoseismicity, and causes of rapid uplift: Journal of Geophysical Research (special issue on Paleoseismology), v. 99, no. B7, p. 14,031-14,050. Merritts, Dorothy, and Brustolon, Amy, 1995, The Mendocino triple junction: Active faults, paleoseismicity, and causes of rapid uplift: USGS Open-File Report on International Lithosphere Program-U. S. Geological Survey Workshop on Paleoseismology. Merritts, Dorothy, and Ellis, Michael, 1994, Introduction to Special Issue on Tectonics and Topography, in Ellis, M. and Merritts, D., editors, Tectonics and Topography, Special Section Part I, Journal of Geophysical Research, v. 99, no. B6, p. 12,135-12,141. Merritts, Dorothy, Vincent, Kirk, and Wohl, Ellen, July, 1994, Long river profiles, tectonism, and eustasy: A guide to interpreting fluvial terraces: in Ellis, M. and Merritts, D., editors, Tectonics and Topography, Special Section Part II, Journal of Geophysical Research, v. 99, no. B7, p. 14,031-14,050. Chadwick, Oliver, Kelly, Eugene, Merritts, Dorothy, and Amundson, R. G., 1994, Carbon dioxide consumption during soil development: Biogeochemistry, v.24, no. 3, p. 115-128. Merritts, Dorothy J., Chadwick, Oliver A., Hendricks, David M., Brimhall, George H., and Lewis, Christopher J., 1992, The mass balance of soil evolution on late Quaternary marine terraces, northern California: Geological Society of America Bulletin, v. 104, p. 1476-1499. Merritts, D. J., Chadwick, O. A., and Hendricks, D. M., 1991, Rates and processes of soil evolution on uplifted marine terraces, northern California: Geoderma, v. 51, p. 241-275. Merritts, Dorothy, and Vincent, Kirk R., 1989, Geomorphic response of coastal streams to low, intermediate, and high rates of uplift, Mendocino triple junction region, northern California: Geological Society of America Bulletin, v. 101, p. 1373-1388. Merritts, D.J., and Bull, W. B., 1989, Interpreting Quaternary uplift rates at the Mendocino triple junction, northern California, from uplifted marine terraces: Geology, v. 17, p. 1020-1024. Geomorphology, hydrology, water resources, and environmental geology.